If you have work to do, what you need is a good, reliable truck. Enter, the RAM. 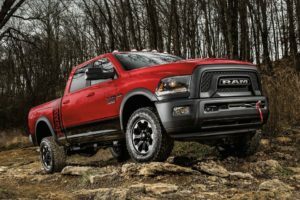 Built on a reputation for durability, power and capability, the RAM lineup of pick-up trucks can handle anything the work-site can throw at them, while still looking good enough for a night on the town afterwards. 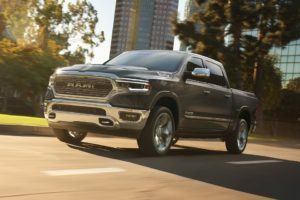 Experience the latest RAM models for yourself here at Go Auto Don Mills Chrysler, serving the Toronto, ON area. The RAM 1500 builds on a legacy of excellence to set the bar for a light pick-up truck. Light and fuel efficient, but packing a punch for when you need it. The award winning RAM 1500 also boasts one of the most comfortable cabin spaces in its class. Strong and reliable, the RAM 2500 is a heavy duty diesel truck just waiting for the work-site. The 2500 is as functional as it is stylish, with a sturdy design. Impressive power and best-in-class towing capability, this truck is up for any challenge. 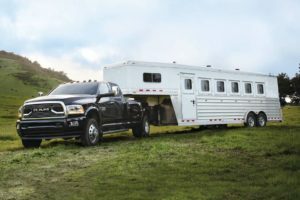 When you need a big truck for a big job, the RAM 3500 is what you need. With best-in-class horsepower and torque, there’s no job the RAM 3500 can’t handle. With exceptional capacity and storage, you’ll also never leave a tool behind you.